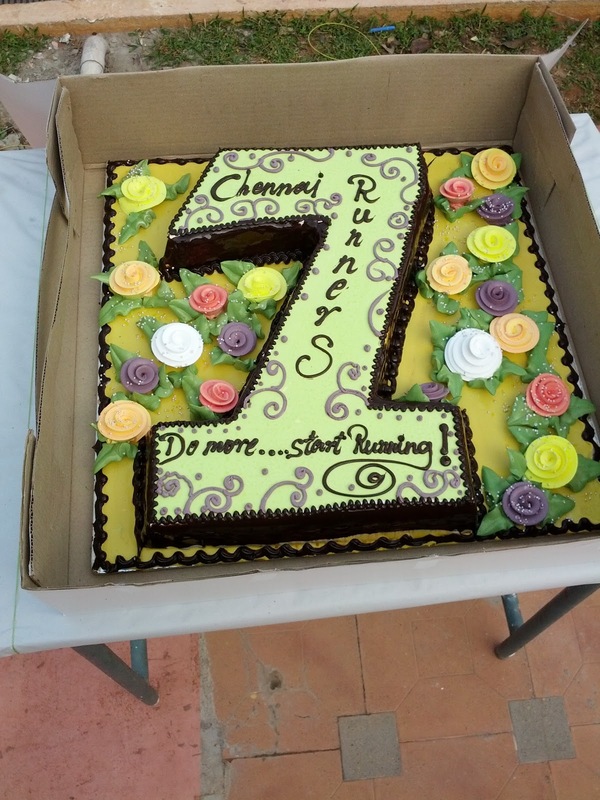 2013 was the first year Chennai Runners anniversary celebrations moved out of the confines of Anna University. 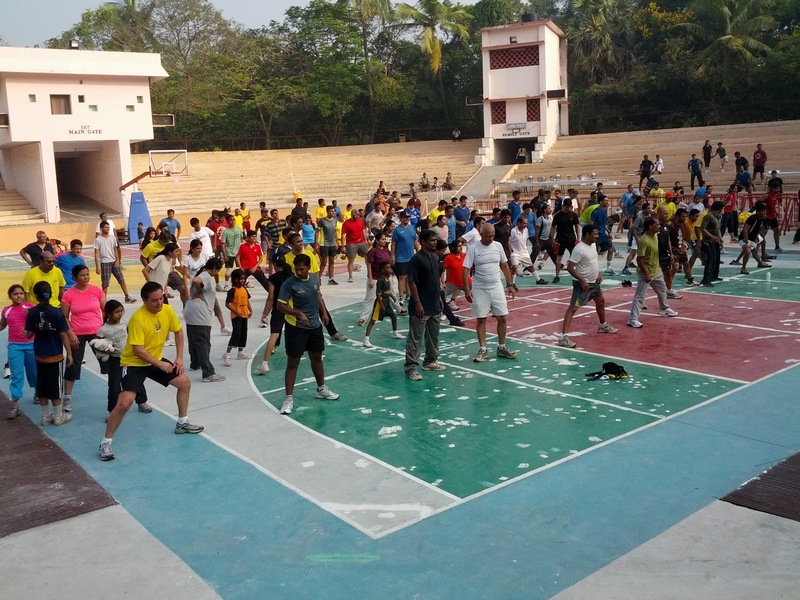 The running community in Chennai was growing and we definitely needed more room and IITM helped us with that. About 500+ assembled in OAT and started the run after a short stretching session. This time around, we had two different loops. While many chose to run the 6k, few others were content with 3k. 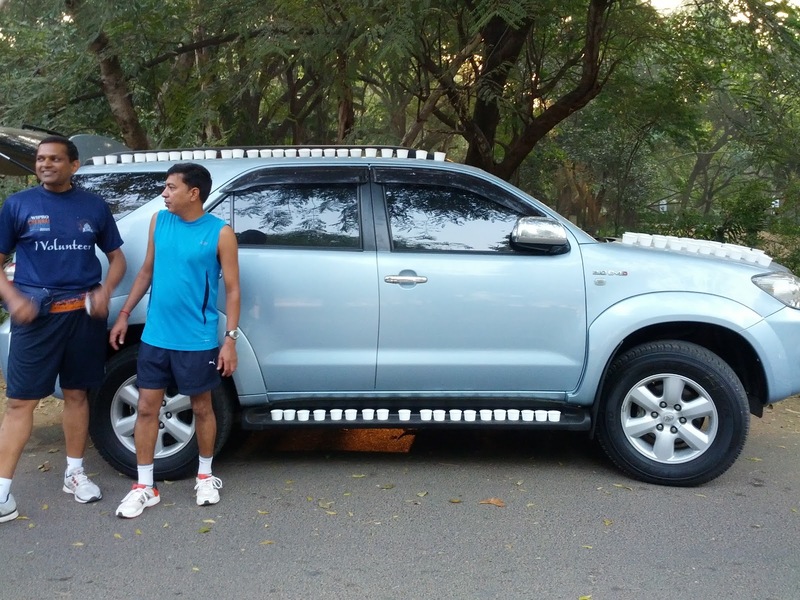 Beast and Harican decked up the Beast with water cups..
Swamy and family talk to us about "How is it like to have the entire family hooked on to running".. Undoubtedly Very Good.. Customary cake.. enticing folks to eat the cake but after that Do More.. Start Running.. Tradition continues.. Though we got out of Anna University and its cafeteria.. we continued with the sumptuous South Indian breakfast made exclusively for the occasion. More Photos of the celebrations here..